Working in collaboration with an interdisciplinary team at the University of Missouri’s Center for Elder Care and Rehabilitation Technology, the TigerPlace Institute in Missouri set up independent apartments equipped with sensors and RN care coordination. The team used both supervised and unsupervised machine learning to predict falls, detect the onset of health problems (like UTIs, low blood sugar, and depression), and assess physical function. The amazing news? Using this technology TigerPlace residents were able to live independently for 1.7 years longer than those without, saving about $30,000 for caregivers! “There’s a business case to be made about how these systems can help senior housing facilities,” says Dr. Marjorie Skubic, the centre’s director and a professor in the engineering and computer science departments. Jewish Senior Life is a continuing care community in Rochester, New York, that’s dedicated to enriching the lives of those they serve through technology. From email and webcams that connect to family and friends, to technology-enhanced rehab programs that improve hand-eye coordination, residents with a wide range of physical and cognitive abilities are enjoying technologies adapted just for them. - Voice-activated smart speakers to give residents access to the weather forecast, current events, as well as to their private schedules. - iPads preloaded with medication reminders or “face-to-face” check-ins. - Wireless pendants that activate a phone if a resident falls. - Health and medication monitoring devices. Jewish Senior Life also uses the Never 2 Late® (iN2L) system. It’s an adaptive computer system with a picture-based, touch-screen interface that allows users to find engaging content personalized just for them. 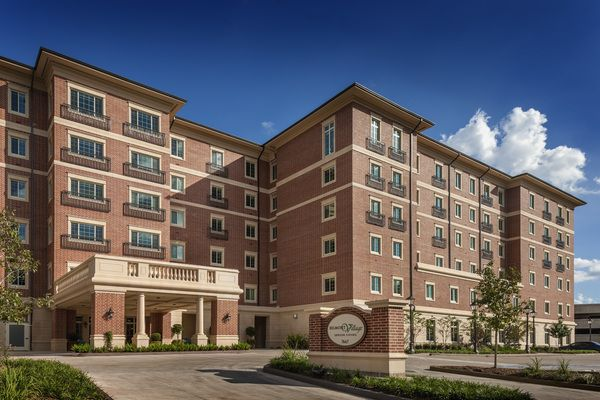 At Houston’s Belmont Village Hunters Creek, the administrators have decided it is their goal to provide experiences that enhance their residents’ intellectual, physical, artistic and spiritual wellbeing. Technology has become an integral part of how they learn, have fun, and engage their residents in programs and activities. For example, when discussing bird sounds and backyard bird watching, the residents were taught to use an app that allows them to see what birds are spotted within their zip code and how to add pictures of their own sightings. Or, when the facility holds art lessons, residents are encouraged to use online resources like the Museum of Modern Art’s mini art history lessons online to receive a more enriching experience. The Avamere Family of Companies is a group of companies dedicated to providing living options and care services that meet the needs of seniors in their local areas. In 2017, Avamere worked together with IBM to install more than 1,000 consumer-grade ambient sensors in several senior residences. Data from the sensored homes, combined with wearable sensors, was used to provide insight into an elder’s daily life. Machine learning was then used to detect daily behavioural patterns and anomalies within the data. When used in correlation with patient claim data, hospital readmission data, and activity patterns, the ability for risk mitigation and preventative care was taken to new levels. Just like IBM, the team at 3Scape is also a firm believer in the power of technology for senior care. Retirement facilities will require a fresh arsenal of technology and resources in the coming years with which to combat Alzheimer’s disease, dementia, depression, anxiety, as well as other forms of mild cognitive impairment (MCI). In response to this need, 3Scape Systems has developed research-based, specialized videos in 3D and VR formats to create immersive experiences for seniors based on the principles of reminiscence therapy. These 3D/VR productions are thoughtfully created by combining elements of geriatric psychology and visual storytelling with research-based findings on how colour, music, sight, and sound affect brain activity. The 3Scape 3D/VR solution is the result of a multidisciplinary collaboration between patients, physicians, researchers, therapists, and caregivers. It has the potential to become a versatile platform for progressive geriatric treatment and care, as well as a valuable source of information regarding healthy aging. If you’d like to know more about major advances in 3D and VR technology and how to improve the lives of long-term care residents and their caregivers, download our guide HERE. You can also check out our Library page for demo videos.